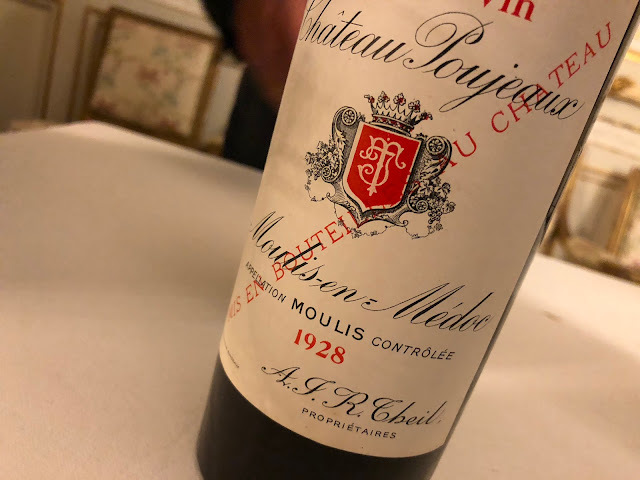 On 22 February fellow blogger Oliver Styles published a thought-provoking posting titled The future of top Bordeaux wines, focusing on the likely price development of the top wines from Bordeaux. The different players in the field were passed in review, with the conclusion being that we shouldn’t expect the high prices of today to drop. It is not in the interest of the three money-making players, the producer, the négociant and the importer, and more strikingly, not in the interest of the rich consumer either. The reasoning is that people buy to impress, and with cheap wines you can’t really do that – at least not in China. The fourth player that Oliver Styles mentions is the wine critic, which he merely sees as oil for the wine marketing machine: the many enthusiastic reviews are happily reprinted with the aim to convince people to buy. Everybody in the Bordeaux business thinks about prices. So does Oliver Styles, and so do I. Here I would like to reflect on player #3, the consumer. If impressing people is the main driving force for ultra-rich people to buy top Bordeaux, this seems very tenuous to me. What if fashion changes, if in 2015 Chinese people get bored when seeing yet another Lafite to impress them? How strong is the actual connection with these wines, aside from the superficial attraction of the bling-bling they have? It is a fact, some top wines have already become part of big luxury chains like LVMH (Yquem and various Champagnes) and PPR (from François Pinault, the owner of Château Latour), and it’s the core business of these companies to create and maintain a thing like craving. So in the end this whole top-wines thing might be all about marketing. But what if that fails, or if Chinese behavior turns out to be different than expected? Perhaps the economy experiences a first hickup, or we might see political unrest - even more likely these days... God knows what might happen. There are many uncertainties in such an undeveloped market. The Chinese might become more cunning about wine and get interested in exciting alternatives. Today’s price development simply seems so immature. It is so extreme that it doesn’t give me the confidence of being a stable development. Look at the Lafite-Carruades-Duhart example. Did it, initially, make sense that the market shifted from Lafite to Carruades and then Duhart? No, it was a new phenomenon, and it surprised the traditional trade. Of course an explanation followed: it is the ignorance of the Chinese, who search for the same name, a comparable label, that sort of stuff. Or for a certain symbol, such as the boat on the Beychevelle label. Surprising, and indicative of the way the Chinese consumer is perceiving these wines. The Chinese acquisitions of Latour-Laguens and Chenu-Lafitte can also be seen in that light. But let’s go back to the Lafite-Carruades-Duhart trio. They’re all sold at preposterous prices now. Real prices, market prices, but what is still the relationship with the actual quality of these wines? I will make a prediction: next in line for a price climb is Château Rieussec. Top Sauternes, from the Lafite stable, and… Sauternes has only recently been exported to China. It’s a new thing to this country so it might take a little while before it’s actually picked up, but all signs are ‘positive’. It also helps that there are exciting combinations to be made with Chinese food – despite the fact that I prefer beer with this cuisine. I only hope we are not going to see a renaming of the château… Château Rieussec-Lafite as a new name would be quite a cheap marketing trick. 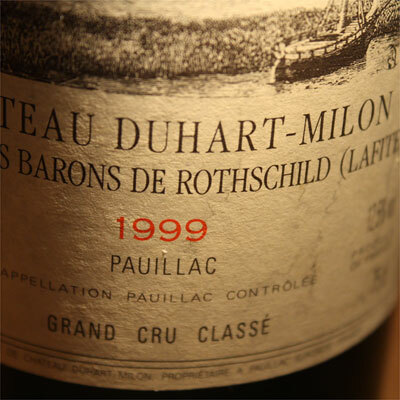 Red Lafite-brother Duhart-Milon is now sold at what used to be 1er cru prices just a few years ago. I have the feeling that we’re looking at a bubble, and a fast-growing one. And what will happen once a critical mass agrees that some of these prices aren’t actually realistic? It has become so much a matter of economics (and it’s all so far removed from the actual thing, wine), that a minor price shift, a first correction, could have a big effect. An effect like we sometimes see in the stock market. A snowball easily pierces a bubble. But for the next primeur campaign I expect there to be room in the bubble for even more carbon dioxide: a raise of the primeur prices of those wines that gained value since the close of the 2009 campaign. Bordeaux 2010 will be the year of the Super Seconds (the New Super Seconds, including the 2nd wines of the premier cru’s). I just can’t imagine the 1er cru’s to become even more expensive, and the true value will again be at the lower levels. I'm writing this with a lovely glass of Duhart-Milon 1999. The market value of this wine is about 150 euros (consumer price) and I know it's not worth the money. I'm not at all negative about the wine, and I very much enjoy it, but no worries, I bought it at a fraction - let’s say, a realistic fraction - of its current value. thought provoking read! I agree with you re Sauternes . . . d'Yquem is owned by LVMH who already have a well estabished business network in China. The Chinese already have a taste for sweet wines . . . Ice Wine in particular. "one issue that foreign sweet wine makers will face in China is that of fakes. Ice wine is lucrative as fakes can be made for relatively little and sold for large amounts to customers who have never tried ice wine and just assume that it should taste like what's in the bottle. I'm guessing some brands, especially Yquem, will also be an attractive target for such fakers." Rieussec would be a prime target too. Nick, this is precisely what happened to the icewine market in China. Canadian icewines became incredibly popular in China; not only because they were luxury gift items but because the growing middle class enjoyed them. And promptly the market was flooded with fake icewines, which were nothing but cheap Chinese white wines with added sugar and food colouring. The Chinese, as we all know, are master counterfeiters.I'd be surprised if there weren't already fake Sauternes labels floating around out there. It is all about image and marketing and has nothing to do with wine quality. What you need is a large demand with a lot of cash and a scarce commodity, this fits the top Bordeaux and some garage wines as well. I had not thought about Rieussec changing its label to Rieussec-Lafite but although a cheap marketing trick it would make perfect sense as there is nothing on the label to link it to Lafite. I highly recommend your blog to appreciators of fine wine, your coverage is top notch and insightful as well as knowledgable. It would be great to meet up in Bordeaux sometime!